Top Five Best Chainsaws For 2019 - Which? Can't decide which chainsaw is right for you? Discover our pick of the best petrol, cordless and corded electric chainsaws. Our guide rounds up the best petrol, cordless and electric models so you can find your perfect machine. We rigorously test chainsaws, cutting through logs of different sizes and hardness. In the table below, we've picked the chainsaws that came top in our test, whether you want to cut through thin logs or tough railway sleepers. Only logged-in Which? members can view our recommendations in the table below. If you're not yet a Which? member, you can get instant access by joining Which?. This chainsaw is outstanding. It's light and easy to use, slicing through even the hardest logs quickly and cleanly. It's quiet for a petrol chainsaw, and very easy to start. Slightly less powerful than a similar larger model, it's well balanced and handles brilliantly. The cordless battery chainsaw rivals petrol chainsaws when it comes to use around the garden. It's light and extremely easy to use, but can still cut through hard wood quickly and smoothly. The only drawbacks are the short battery life and rather hefty price tag. Another great chainsaw from this brand. 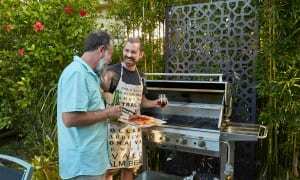 It's very similar to the smaller version in the range but is a little more powerful, which can make it a bit more challenging to control as you start to cut. It impressed us by cutting consistently, quickly and cleanly through all of the wood we put in its path. If you prefer a hefty chainsaw with plently of power for tough jobs, then this chainsaw won’t disappoint. It quickly slices through the hardest wood and the thickest logs. It's easy to start from cold and the chain doesn't need much adjustment as you work. It uses quite a bit of fuel, though. This powerful corded electric chainsaw comes very close to being a Best Buy. 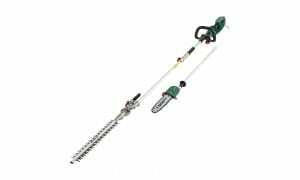 It powers through branches and logs quickly and makes light work of cutting harder wood. Like all corded-electric models it's a bit unwieldy, but much quieter than petrol machines. Not found the right chainsaw for you? 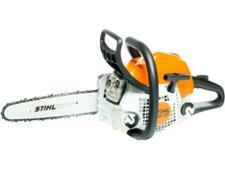 Browse all our chainsaw reviews. Not all chainsaws cut cleanly, and some take a long time to cut through anything but the thinnest logs. To make sure you avoid these models, we've rounded up three of the worst in the table below. If you need a big, powerful chainsaw, then this won't fit the bill. 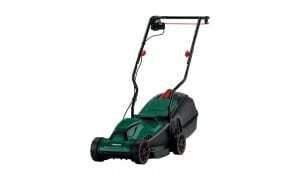 It's small, quiet and extremely simple to use, but doesn't have the power to tackle more than very basic jobs around the garden. It costs a lot for a limited machine. This tiny chainsaw cuts rather slowly, so is tiring to use. It can't cope with very thick logs (more than 15cm wide) and leaves them roughly cut. It scored poorly for cutting small logs and branches too. Your perfect chainsaw will cope easily with the jobs you need to do, but will also be easy to use, robust and safe. Start by thinking about the size of logs you'll need to cut and how much time you'll spend cutting, and then decide whether you need a powerful chainsaw or one that cuts more slowly, but is quieter and less expensive. Petrol chainsaws can cut through thick logs, but they're very noisy, usually quite heavy and you will need to keep a store of petrol and two-stroke oil to hand. Some cordless chainsaws, including the Best Buy in the table above, can rival petrol models in terms of power. Cheaper cordless models are available, but may not have the strength to cut through larger logs. Also bear in mind that the batteries typically only last for around 20-30 minutes before they need a lengthy recharge. 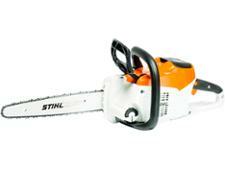 Electric chainsaws typically don't have as much power as petrol models, and you're tethered to the power socket. However, if you want to cut lots of smaller logs for a log burner, they are worth considering. To find out more, read our guide to choosing the best chainsaw, or our advice on petrol, cordless and corded electric chainsaws.